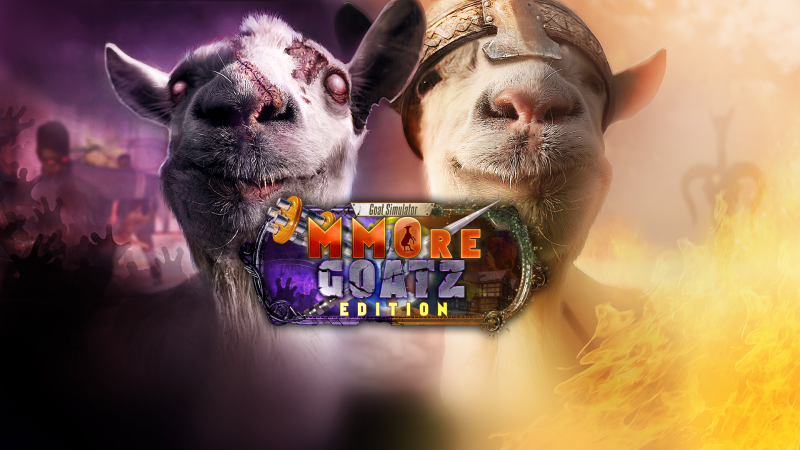 "Getting goaty with it one more time"
Double Eleven have today announced the eagerly anticipated release date for Goat Simulator: Mmore Goatz Edition, if you had a keen eye you would of spotted a brief snippet of the upcoming title in Microsoft's showcase of summer titles coming out. So with that it brings no surprise to hear that this game will be releasing on the last day of the promotion on August 26th, for a of yet undisclosed price point. Combining essentially two mods into one, Goat Simulator Mmore Goatz Edition will be bringing you a goat MMO Simulator and Goat Z rolled into one, so if the bugs from the first title didn't put you off too much and you got a laugh out of it like we all did, then this will no doubt raise a few more smiles.